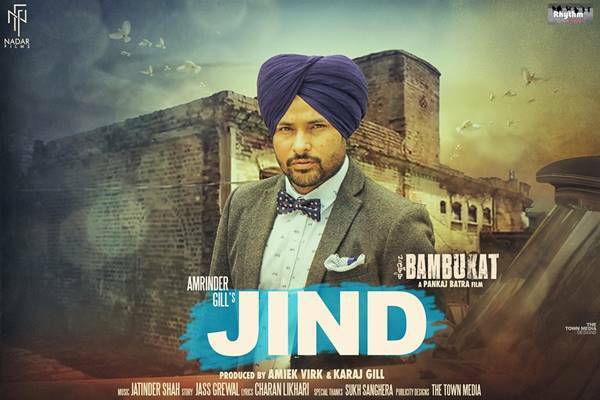 First song from Punjabi Film Bambukat is out now! Song titled 'Jind' is sung by versatile artist Amrinder Gill and Music of the song is composed by maestro Jatinder Shah. Lyrics of the track are wrritten by Charan Likhari - well known lyricist for songs like Jatt Di Akal, Lahore and many more.